Went in today, a bit Old school inside but the stupidly named strawberry banana kush is amazing at 15e a gram the strongest smelling kush in many years very strong, cured. 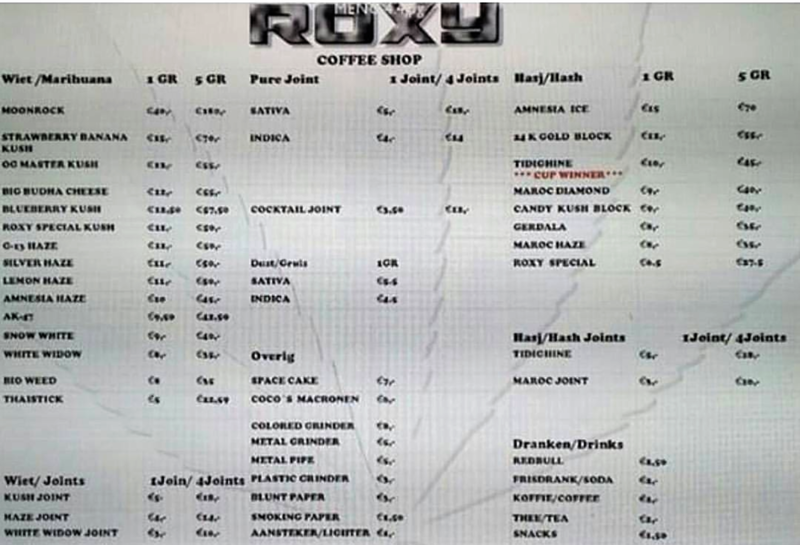 New menu for Roxy dated November 29, 2017. Thanks Q. 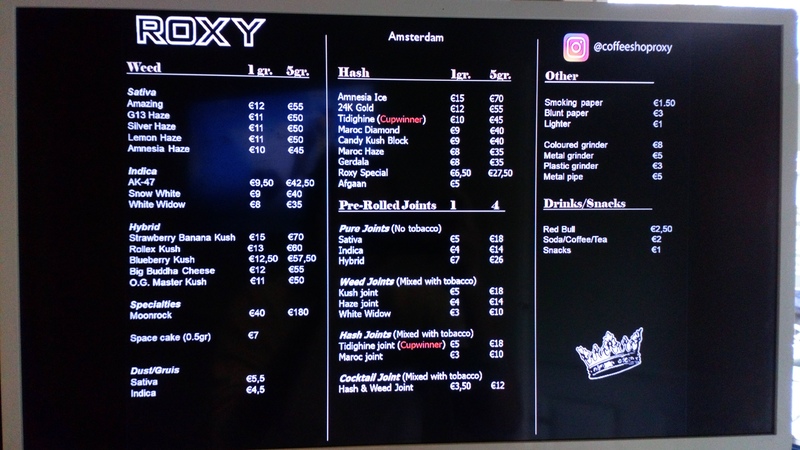 New menu for Roxy dated August 31, 2018. Thanks to VH.